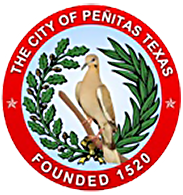 City of Penitas offices will be closed on Friday, April 19 and Monday, April 22 in observance of the Easter holiday. Normal office hours will resume on Tuesday, April 23, 2019. From all of us at the City of Penitas, we wish you a happy and safe Easter holiday. Peñitas Participates in Statewide "Stand with Law Enforcement"